This video will review the concept behind the Ivoclar Navigational App which is a free smart device App download. I have found this App very helpful in selecting a workable brilliance/shade. Even though this app is applicable for e.max and the ZirCAD zirconia, I will share several other videos on how to extrapolate for other ceramics such as VITA and Empress. 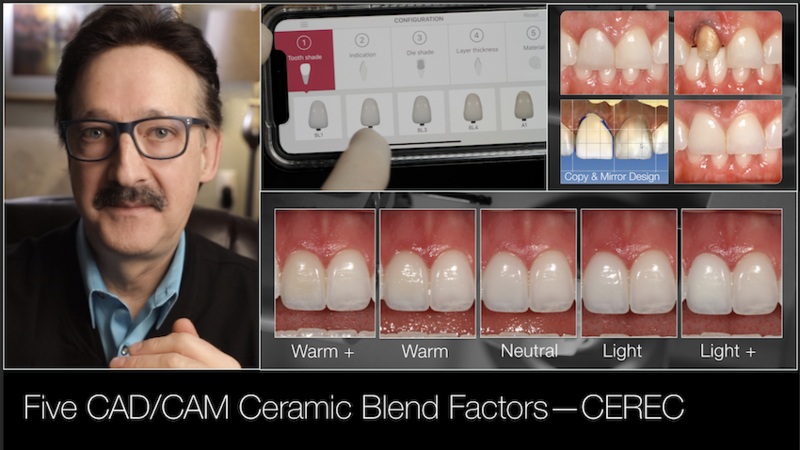 The five ceramic blend factors this video will address are target shade, ceramic thickness, ceramic translucency, preparation shade impact on ceramic selection, and the final blending factor of using cement colors.